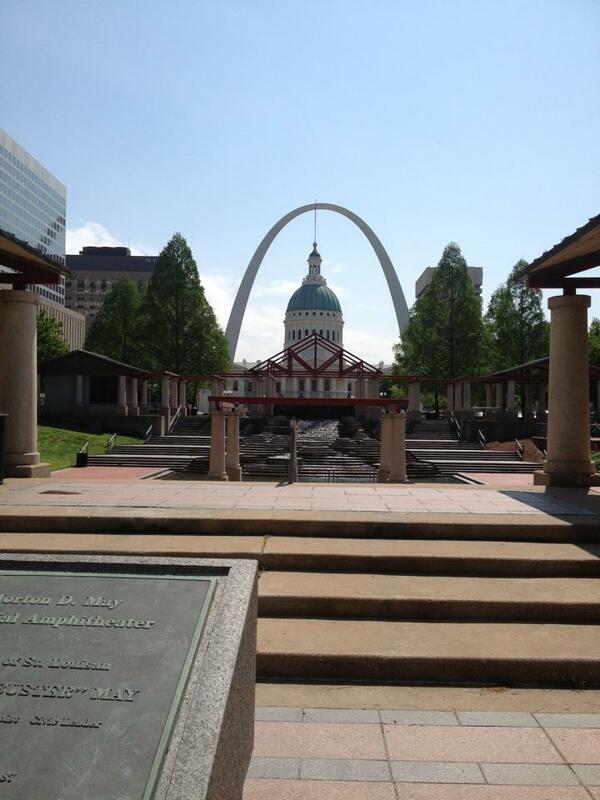 This past week, I attended my Hypnobabies Instructor training conference in St.Louis, Missouri! The Arch - National monument and gateway to the West! My mom and my sisters McKenzie and Riley attended with me so that Lincoln and Atley could be well cared-for while I attended the conference throughout the day, and did "Home-play" (homework) each night. It was a busy, busy week. To be completely honest: I really missed my kids. The whole run up to our hotel room for 10 minutes to nurse Atley (who *will not* take a bottle of her mama's milk) and the quick hug for Lincoln every couple of hours was not my favorite. Also, to be completely honest: all the incredible amounts of information I learned at the conference, and the camaraderie I felt with all the other amazing women there was fabulous. It's not every day you get to meet one of your heroes, either. And Kerry Tuschoff - the founder of Hypnobabies - is definitely up there on that list of role-models for me. Bring your own soft towels for your babies after they are born. No hard rubbing/scrubbing of newborns - only light patting of that Vernix in to the skin. Have that be done by a tender daddy, not a nurse! Seriously, though - I can't stop running through all of the incredible stuff I learned at the conference in my mind. I can't wait to get my first set of classes set up so I can have a forum to teach and talk about birth with a captive audience! ;) But, back to the trip. We arrived on May 1st, my mom's birthday. We celebrated with pizza and dessert from this seriously delicious place, which was just a few blocks away from our hotel. The next couple of days were very rainy, but once it calmed down a bit everyone (but me) got out to explore and enjoy the city a bit. Lincoln enjoyed going on the horse-drawn carriage ride around the town. Lincoln feeling nervous riding the arch pod up to the top. Several nights, we went swimming in the indoor pool at the hotel. Atley and Lincoln both absolutely loved the water. And yes - I totally wore my glasses in the swimming pool. At breakfast our very last morning, one of the women working the breakfast area at the hotel came up to us, looking at Atley and said with her sassy voice, "She a juicy baby!" We all laughed, and my mom responded, "That's the most perfect description we've heard of her yet!" Isn't it, though? I love this "juicy" baby girl of mine! 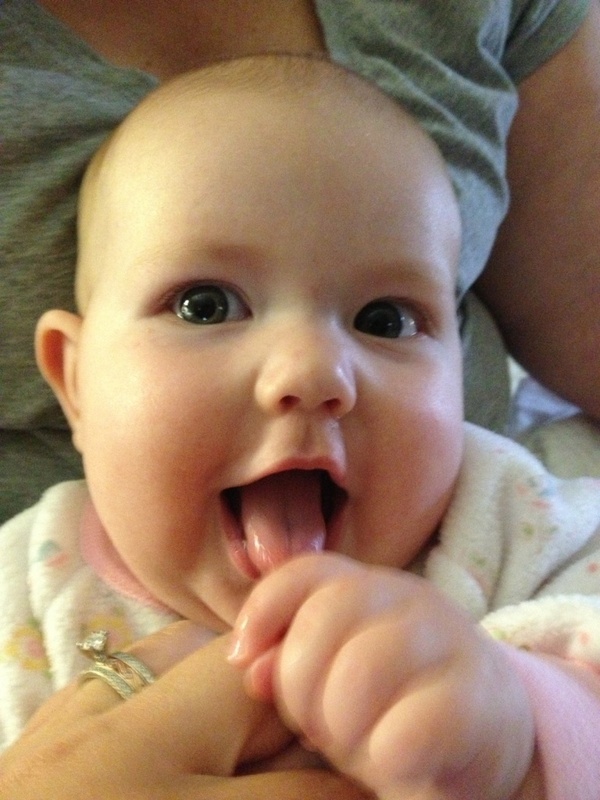 Adorable baby Atley - and a pretty good shot of Kenzie's great engagement ring. On our last day in Missouri, we dined out at the quintessential tourist eatery: the Hard Rock Cafe. Sistas, Linc, and Atley at the Hard Rock Cafe - thanks for taking the photo, Mom! On our ride back to the hotel on the Metrolink, we made sure to cross the Mississippi river just for the fun of it. I finally got a picture with the arch. We all took one final walk around the park by the Arch and Lincoln got to see fireflies for the first time in real life - which he really enjoyed, as he had just been introduced to fireflies through Eric Carle's, The Lonely Firefly, only a few weeks earlier. The park by the Arch - blindingly, beautifully green to my Tucson resident eyes! The flight home was a bit stressful, as Atley had a massive poopy blowout (Curse you, disposables!) just minutes before boarding the plane, and then another just about a half hour after the plane took off - leaving her with no more back-up clothes to wear. So, she just flew in a diaper wrapped up in her blanket. And Lincoln? He starting this delightful screechy screaming thing the last 45 minutes of the flight or so. Me: "Lincoln! See all these people on the plane? They don't like it when you scream like that. That is not considerate. Can you say considerate? Look at the people. Let's be nice and quiet for all of them." Read and reviewed 7 books. Completed a college-level introductory Hypnosis course. Pass my Hypnobabies final exam with at least 90%. Read one more childbirth book and write a review of it. Put together a list of natural-friendly locations and care providers for my future clients. Submit my signed Hypnobabies contract by snail mail. Congrats Jami! It's a big accomplishment you are working towards! That's wonderful, and good luck with the exam! Also, you guys make really cute babies! Thank you, Katie - for the luck and the compliment! :) Your kiddos are adorable, too. Do you think I could have an invite to your blog so I can see them?! I've been meaning to ask you, and keep forgetting. My email is jamihepworth at gmail dot com. Glad you enjoyed the carriage ride! I was your driver!